The 1600’s saw an explosion of mathematical and scientific discoveries across Europe. Galileo observed the orbiting moons of Jupiter using a telescope based on a toy imported from Holland. Tycho Brahe gathered an enormous quantity of mathematical data describing positions of planets in the sky. Brahe's assistant, Johannes Kepler explored and formulated mathematical laws that revolutionized the understanding of planetary motions. The contemporaneous invention of logarithms by John Napier and Jost Bürgi reduced Kepler’s complexities to calculate planetary motions and the analytic geometry developed by René Descartes, 1596 -1650 AD, allowed planetary orbits to be plotted graphically as Cartesian Coordinates. Simon Stevin, 1585 AD, created the basis for modern decimal notations capable of describing all numbers, rational and irrational. Built upon earlier works of others Isaac Newton discovered laws of physics explaining Kepler's Laws and fused concepts today known as Infinitesimal Calculus. 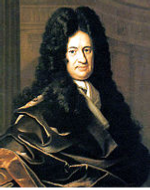 Independently Gottfried Wilhelm Leibniz developed calculus and much of the calculus notation still in use today. The affinity between science and math was formalizing as the mathematical sciences. Beyond studies of the heavens applied mathematics began to expand, creating new branches of mathematics. Correspondence between Pierre de Fermat and Blaise Pascal established fundamental groundwork for Probability Theory and corresponding rules of combinatorics in their discussions of a gambling game problem posed by Chevalier de Mere in 1564 AD. The question posed pertained to the number of turns required to ensure obtaining a six in the roll of two dice and led to the beginning of the concepts of probability and expectation. Probability and expectation was a necessary precursor of Utility Theory in the 18th - 19th centuries. In the seventeenth century John Graunt, 1620 -1674 AD, a shopkeeper, set out to predict mortality rates by categorizing births and deaths. In the London Life Table Graunt made a noteworthy attempt to predict the number of survivors per one hundred by increments of ten years. Graunt’s probability observations of prediction drew the attention of others. Sparked by Graunt’s work and later by the work of Pascal and Fermat, Christiaan Huygens, a Dutch physicist, became the first to publish a text on Probability Theory entitled De Ratiociniis in Ludo Aleae (On Reasoning in Games and Chance) in 1657 AD. In this text Huygens presented concepts of Mathematical Expectation. The Huygen’s text was unrivaled until James Bernoulli, 1654 -1705 AD wrote Ars Conjectandi, published eight years after his death. Bernoulli developed and provided alternative proofs to Huygens’ De Ratiociniis in Ludo Aleae. He explained combinations and permutations encompassing many results used today including a series of problems on games of chance. 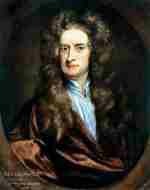 Finally, and most important he revealed the famous Bernoulli Theorem, later called the Law of Large Numbers. 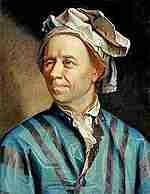 Considered by many the most influential mathematician of the 18th century was Leonhard Euler. His major contributions include a founding study of Graph Theory with the Seven Bridges of Königsberg problem and standardization of many modern mathematical terms and notations. He standardized the symbol identifying the square root of minus 1 and popularized the use of the Greek letter π (pi) to represent the ratio of a circle's circumference to its diameter. Other contributions from Euler include numerous contributions to the study of topology, graph theory, calculus, combinatorics, and complex analysis. His contributions are evidenced by the multitude of theorems and notations named for him. Other important 18th century European Mathematicians include Joseph Louis Lagrange who pioneered work in number theory, algebra, differential calculus, and the calculus of variations, and Laplace who in the age of Napoleon provided important insight of celestial mechanics and statistics.